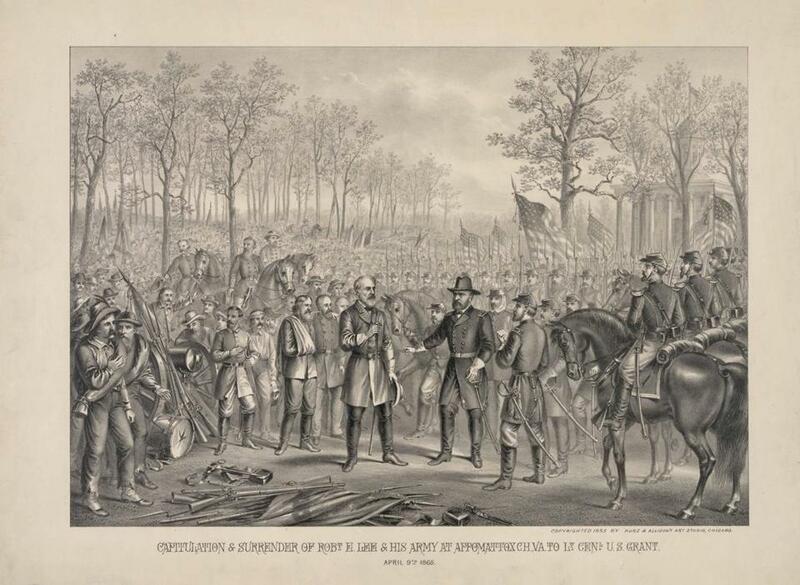 An artist’s rendering of General Robert E. Lee surrendering to General Ulysses S. Grant. The two episodes seemingly have little to do with each other. But each, in its way, illustrates one of the bleakly recurring themes of US military history: When America’s armed forces prematurely abandon the field, the results are usually heartbreaking for the people they leave behind. To the shock of at least some former antiwar activists, more people died in the first two years of Indochina’s communist peace than had lost their lives in the 13 years of America’s war. Even now, Vietnam remains a communist dictatorship, one of the least free places on earth. When US forces settle in for a long peace after fighting a difficult war — as in (West) Germany and Japan following World War II, or South Korea since the 1950s — their presence has generally nurtured stability, prosperity, and democratic freedoms. When they retreat precipitately — as in Lebanon or Iraq — renewed cruelty and violence predictably fill the vacuum. And it isn’t only overseas that the pattern has been manifested. In a striking new book, “After Appomattox,” historian Gregory Downs chronicles the years of military occupation that followed Lee’s surrender to Grant in 1865 — a military occupation that was indispensable to the uprooting of slavery and the political empowerment of freed slaves. In the face of Southern white supremacist hostility, it was only the continuing presence of federal troops in the South that could break up remaining pockets of rebellion, establish the right of blacks to vote and seek election, void discriminatory laws, and unilaterally remove disloyal or racist sheriffs and judges from office. Military occupation and the prolonged exercise of war powers go against the American grain. The urge to “declare peace and get out” is only too understandable. This season of anniversaries is a reminder that yielding to that urge can come at a terrible price, above all to those who stay after the US military is gone.